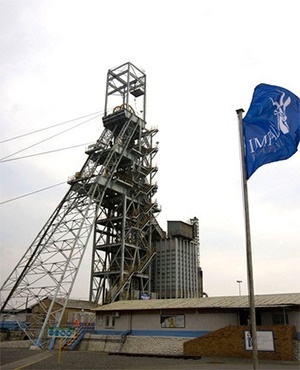 Zimbabwe has agreed to waive requirements that Impala Platinum transfer majority stakes in two of its mines to black citizens of the country, the company has said. Implats, as the world’s second-largest platinum miner is known, won’t be required to ensure that its Zimplats unit or Mimosa joint venture, which operates separately, is 51% owned by locals because of other measures that it is implementing, said Chief Executive Officer Nico Muller. Zimplats, the southern African country’s top platinum producer, has sold 10% to employees and is concluding an agreement to sell an additional 10% to communities, Muller said. The producer will get government credit for the remaining 31% from helping to develop local industries and small businesses, he said. The same model will be applied on the Mimosa mine, which it jointly owns with Sibanye Gold, Muller added. Zimbabwe has scrapped requirements that majority ownership of mines be reserved for locals for all minerals other than platinum and diamonds. The nation has the world’s second-biggest platinum reserves and producers also include Anglo American Platinum, the world’s top supplier of the metal. “So far as equity transfer is concerned, we are done, we are comfortable,” Alex Mhembere, Zimplats Chief Executive Officer, said. The Zimbabwe government scrapped a windfall tax for Zimplats after it agreed to release 23,903 hectares of land (59,066 acres) to the government in June, almost halving its tax rate to around 35%, Mhembere said. Zimplats had been paying the windfall tax - a form of profit-sharing calculated from positive cash-flow - for the past 24 years, he added.